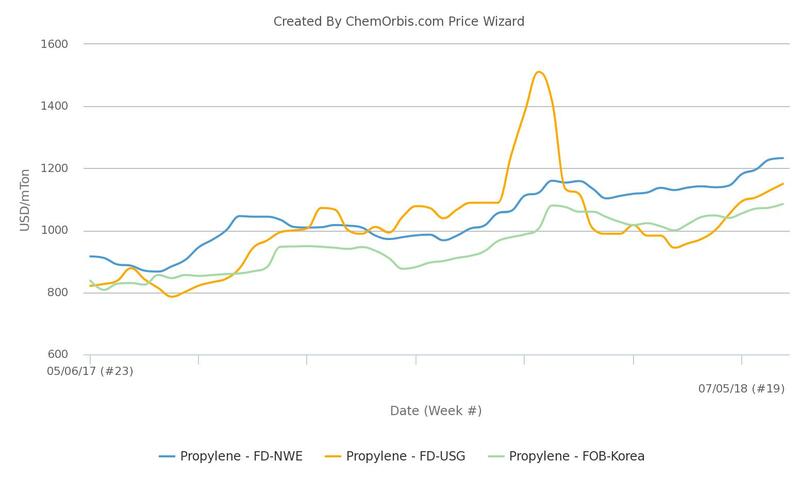 Spot propylene prices in Europe and Asia have reached their highest levels recorded since November 2014, according to data from ChemOrbis Price Wizard. Spot prices in the US, meanwhile, have also retained their firming trend to hit an almost four-month high recently. In Asia, the weekly average of spot propylene prices has posted a cumulative increase of $85/ton since the firming trend started in early April. The European market started to gain ground earlier than Asia in around mid-March, with spot prices posting a total increase of €155-160/ton since then. Meanwhile, in the US, the weekly average of spot propylene prices have recorded a significant gain of around $205/ton since the market turned bullish in the first half of April. 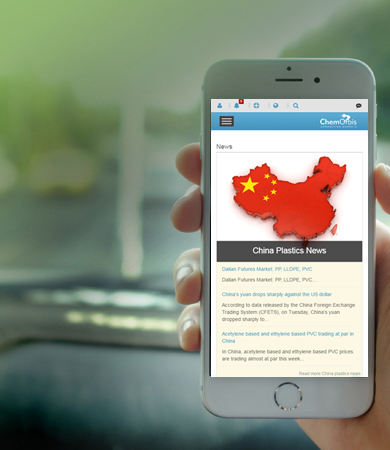 The ongoing bullish trend across global propylene markets is mostly attributed to healthy demand and tight supplies amidst a series of maintenance shutdowns mostly scheduled in the May-July period. Higher spot naphtha prices have also contributed to the firming trend of propylene amidst strong crude oil futures. However, propylene might lose the support from the upstream side given the recent declines in oil prices, some traders opined. Spot naphtha prices in Asia and Europe have slightly turned downward after reaching their highest levels since October 2014.